Cranbrook Schools Debate Team Sweeps National Tournament! Debate Team Sweeps National Tournament! The CK Debate team soared to new heights this weekend, setting a new record in the team’s modern history. 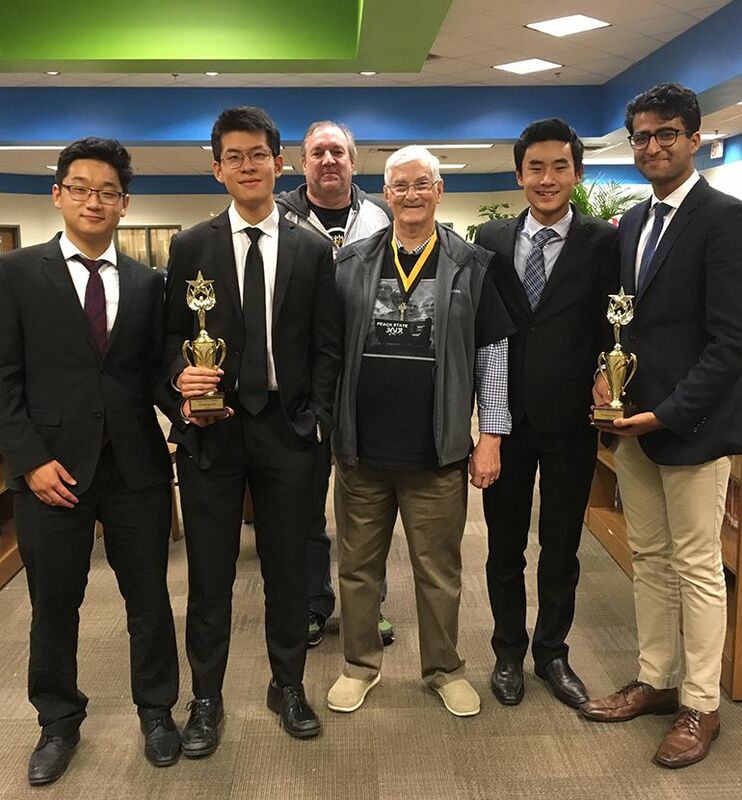 Four debaters—duo Aashray Khanna and Justin Luo, and duo Harry Ren and Derrick Zhen—traveled to Carrollton, Georgia to make their mark at the Peach State Debate Classic Forensic Tournament. This national event took place on Friday, November 9th and Saturday, November 10th at the Carrollton Middle and High Schools. It was a rewarding event for everyone involved, as both duos brought home awards and honors for their efforts. Khanna and Luo swept through the event undefeated, winning the first-place trophy. Ren and Zhen had only one loss during the tournament, and despite that loss had closed out the semi-final bracket on one side by the end of the weekend. Individually, all four debaters were awarded “gold” bids for their hard work, honors which will allow them to attend the Tournament of Champions in Lexington, Kentucky in the spring. Between then and now, we wish these students the best of luck and congratulate them on their accomplishments!